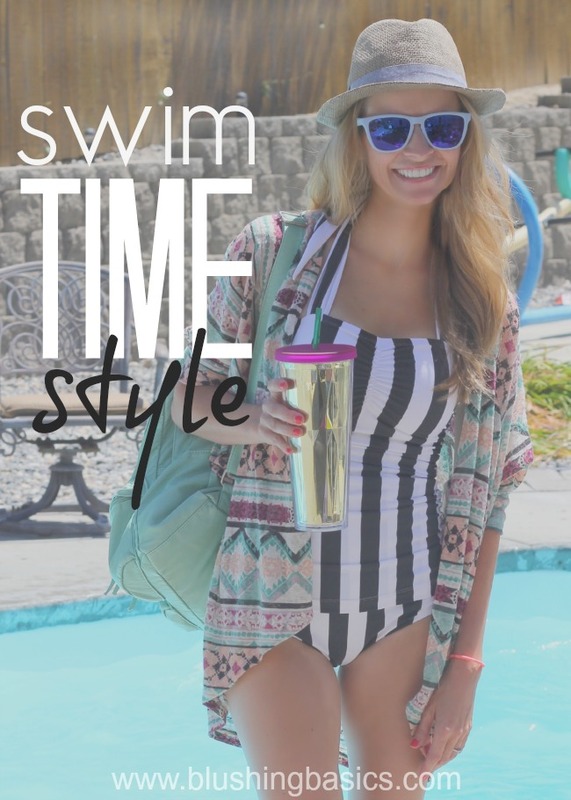 whether you are heading to the pool, the beach or anywhere in between this summer, having your style essentials is a must. prior to swim time you'll want to prep with a few beauty items - first and foremost a shave. getting those legs (and armpits and well, other unmentionables) smooth and hairless will keep your gams looking gorgeous. Schick Hydro Silk Sensitive Care has you covered because it will help hydrate and protect skin again irritation. plus, its water-activated moisturizing serum will replenish skin's natural moisture for up to two hours after shaving! second, you'll probably want to go light on the makeup but a little bronzer and mascara go a long way to keeping you glam. Rimmel's Natural Bronzer is not only America's #1 bronzer but it is also a waterproof bronzing powder that will give your face a sun kissed glow with the UV damage. keep your hat on and your skin protected all while looking bronzed and beautiful. L'Oreal's Manga mascara will give you extreme volume in your lashes - and with everyone paying attention to your lashes no one will even notice your lack of makeup otherwise. 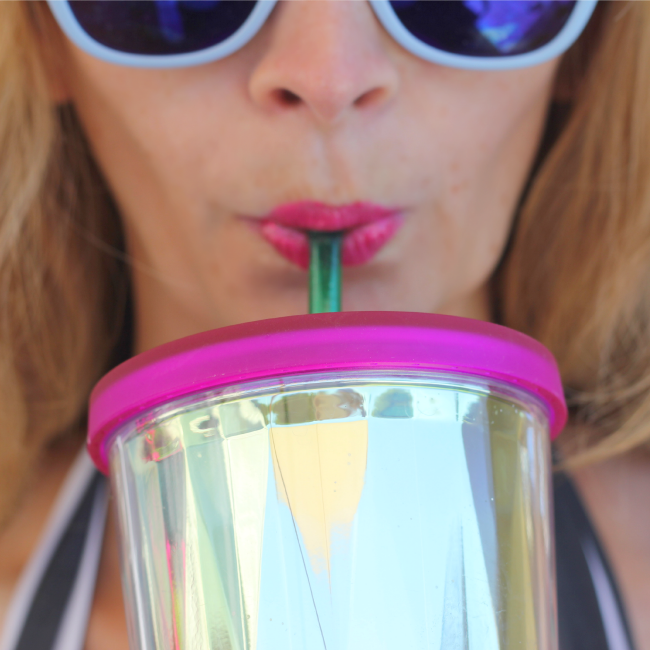 now that you have your pre-pool prep out of the way you can hit that patio like a rockstar. before you do anything you'll want to apply some sunscreen. i like using a spray on my legs because it gives a sheer sunscreen cover to protect from burning but allows me to get a tiny bit of tan. Banana Boat has a spray sunscreen that also includes Aloe Vera and Antioxidants to help keep your legs looking lovely. it is called the Banana Boat Protect and Hydrate Ultramist. cover your arms and chest with a cream sunscreen to ensure maximum coverage. you may want to try Hawaiian Tropic Sheer Touch Ultra Radiance lotion. it will leave your skin glowing & protected. 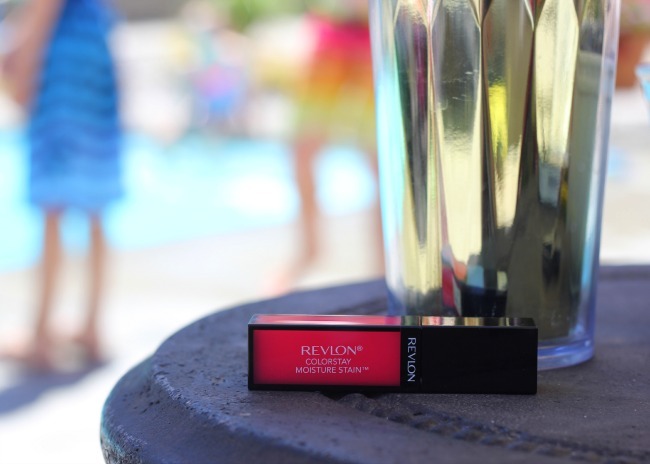 pretty your pout with Revlon Colorstay Moisture Stain. this stain will last in and out of the water. 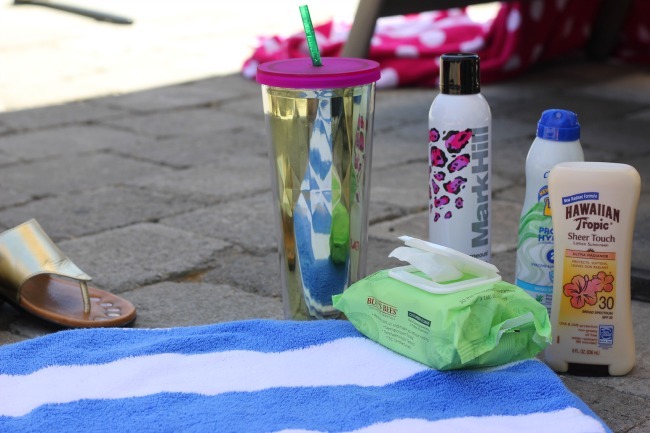 a bright pink will pop especially with your new gold thermos cup to keep you hydrated while hanging by the pool. leave your gloss laying by your glass and if you want to reapply it is within arm's reach. i try to be slightly productive when soaking up some sun and one way to do that is to freshen up your pedi. Walgreen's offers an amazingly priced mani/pedi set to help you prep the nails and Revlon's Colorstay Gel Envy has color and a base coat in one, making your application a cinch. last but not least you'll want a few emergency touch up items like Burt's Bees Facial Towelettes. no matter how waterproof your mascara is you are bound to have raccoon eyes after exiting the pool. unless you like to swim without touching your face, it happens. so let's deal with it. keep a small pack of these towelettes nearby and you can quickly remove any trace of raccoon eye rather than trying to wipe it off with your towel and completely demolishing that delicate skin under your eyes. take a moment to pack one of these Burt's Bees Facial Towelettes for your skins sake. bringing along a little hairspray never hurts either. make the most of your natural 'salt-sprayed' hair after swimming and scrunch in a little bit of hairspray to hold that wavy goodness. i've packed my Mark Hill Get Gorgeous Finish Fabulous Spray. smells good, holds good and leaves you looking good. the best thing about all of the products above is that they can be picked up at your local drugstore. if you happen to forget, run out of, lose or need a replacement item it is a quick stop on your way to your destination. besides, the fact that the products won't cost you an arm and a leg will allow you to spend that money on other items, like a new pair of sunnies!